The following videos are representative of the function of the FloShield system. 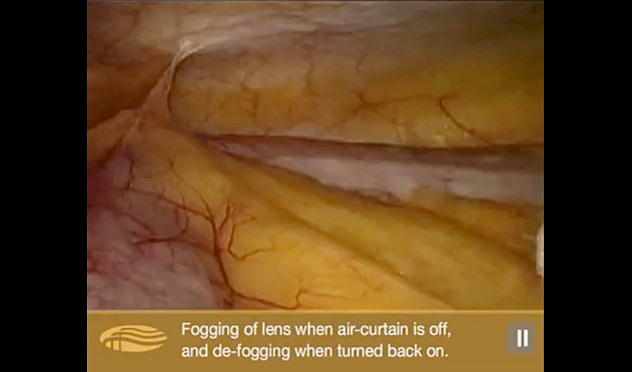 An animated overview of the FloShield system, and how it uses Vortex Barrier Technology and Flo-X in situ to maintain superior laparoscopic vision during surgery. 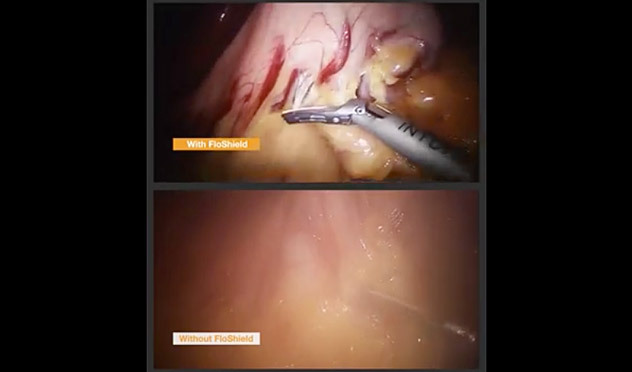 A side-by-side comparison of the surgical view with FloShield (top) and without FloShield (bottom) while using the Harmonic Scalpel during a robotic gastric sleeve procedure. 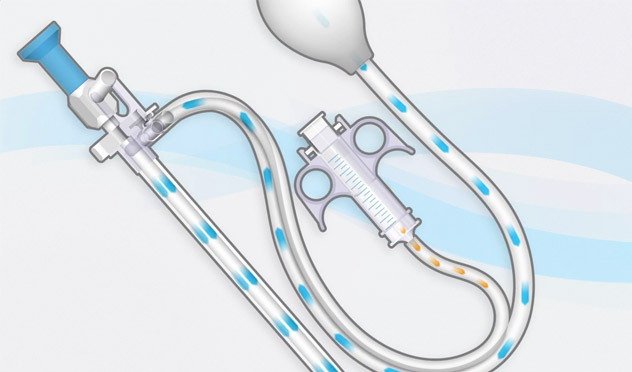 During a porcine lab procedure, an arterial bleeder spurts at the scope. 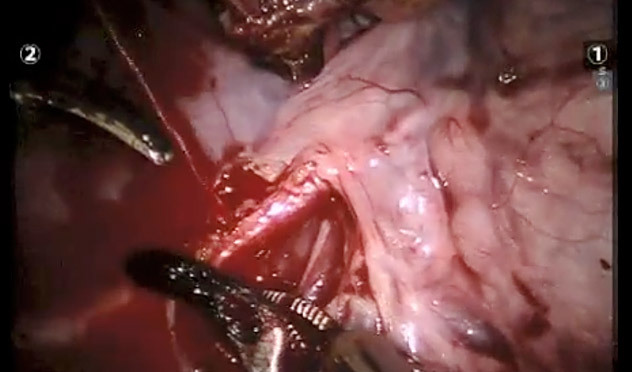 Robotic FloShield's Flo-X in situ provides rapid vision recovery without scope removal. 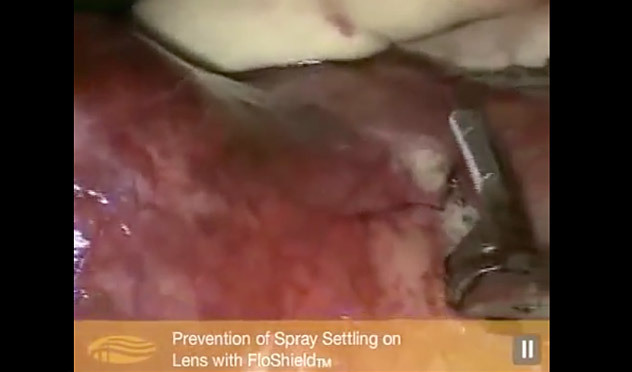 Fogging of lens when FloShield is off, and de-fogging when FloShield is turned back on. 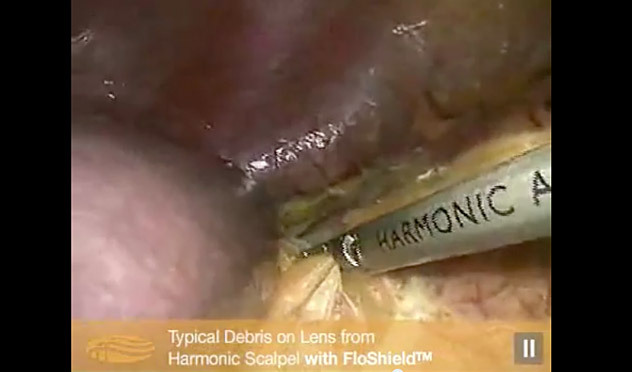 Typical debris from Harmonic Scalpel on lens without FloShield, then deflected from lens with FloShield. The Harmonic Scalpel is used to divide a solid organ. Particulate debris is prevented from settling on lens with FloShield. 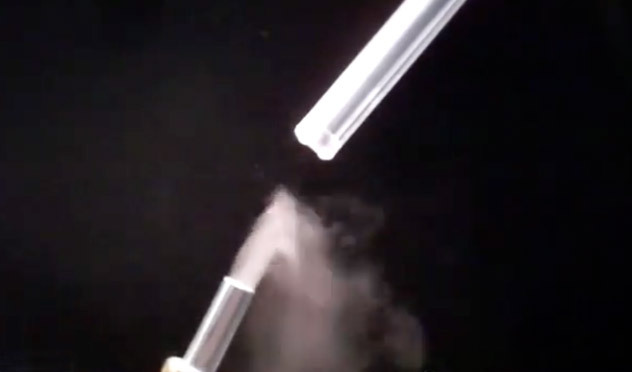 Prevention of smudging going through trocar with FloShield. 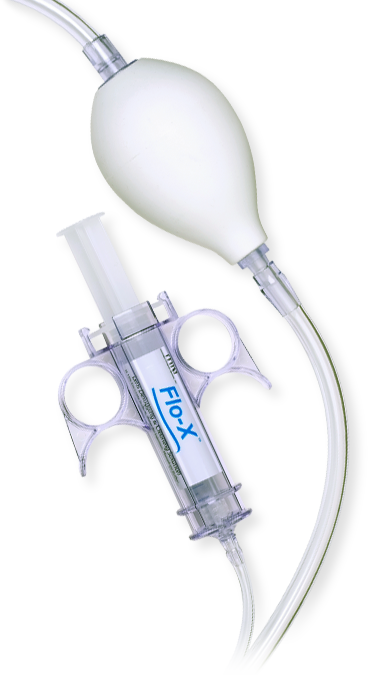 Flo-X flush feature used to clean end of lens after dipping in blood with FloShield. 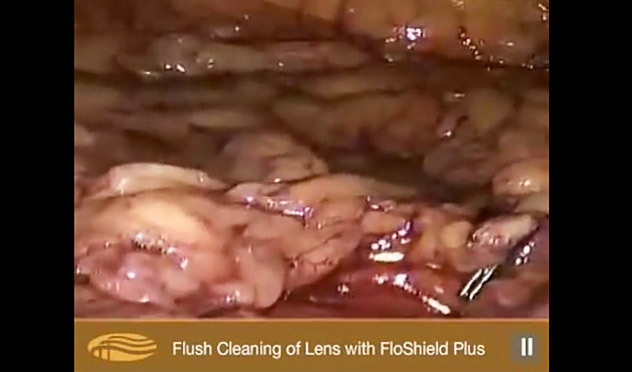 This video demonstrates the ability of FloShield to deflect debris away from the surface of a 0° laparoscope. This video demonstrates a simulation of the ability of FloShield to push debris away from a 45° lens.